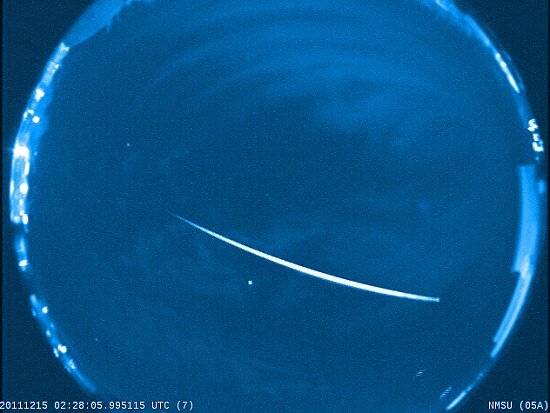 Hazy skies did little to dim the brightness of this Gemind meteor, which graced the skies over southern New Mexico on the night of Dec. 14 around 7:28 p.m. MST. 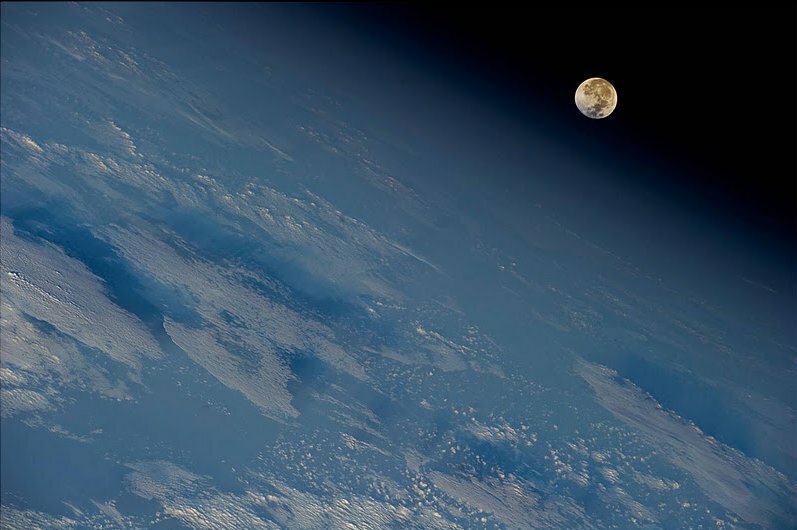 Moving at 80,000 mph, the 3/4 inch meteor — a piece of the asteroid 3200 Phaethon — flared brighter than the planet Venus before burning up 47 miles above the U.S./Mexico border. 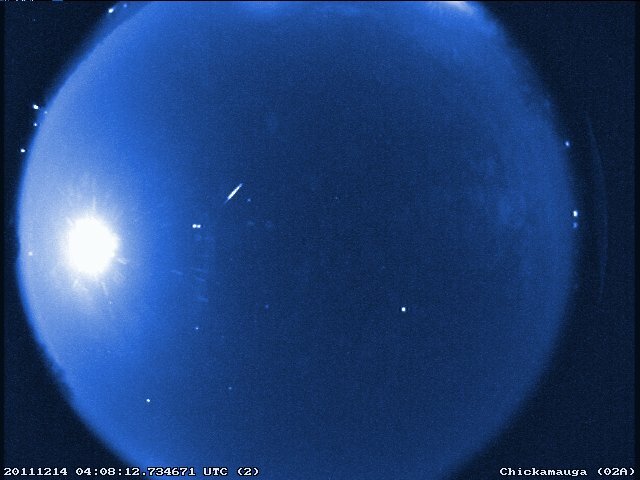 Clouds hampered our viewing of the Geminid meteor shower peak last night. However, we managed to capture a few images before viewing was obscured.